FOR 99.97 (60%OFF) UNTIL SUPPLIES LAST! HURRY BEFORE IT'S ALL GONE! Why pay thousands of dollars for a professional laser treatment to remove unwanted hair, not to mention the pain that go along with it when you can remove your hair all on your schedule, in the comfort and the privacy of your home, at a fraction of the cost, yet with minimal pain with the help of the Painless Light Hair Removal Laser! 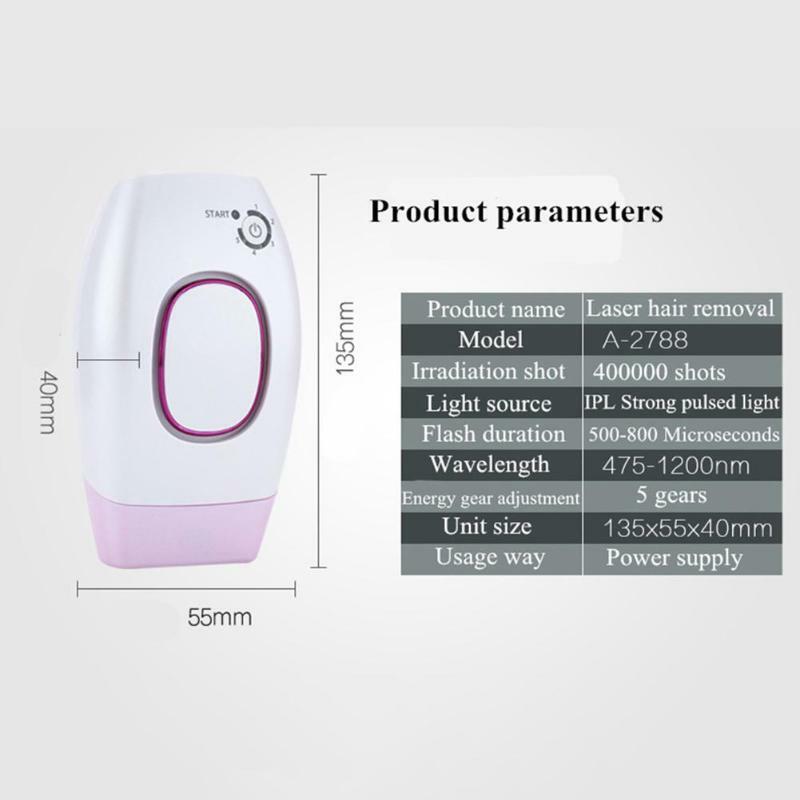 This hair removal device effectively removes unwanted hairs and inhibits it from growing with continuous use. It works using laser technology that emits rapid light pulses. The pulse works under the skin's surface to target hairs at the root to inhibit their growth. It's gentle enough for everyday use and it won't cause irritation at all! It can be used in the underarms, legs, thighs, bikini line, face, neck, shoulders, and back. Say goodbye to shaving, waxing, and expensive IPL clinic treatments FOREVER with the Painless Light Hair Removal Laser! Laser Hair Removal is the fastest, safest and most painless way to remove hair, permanently. 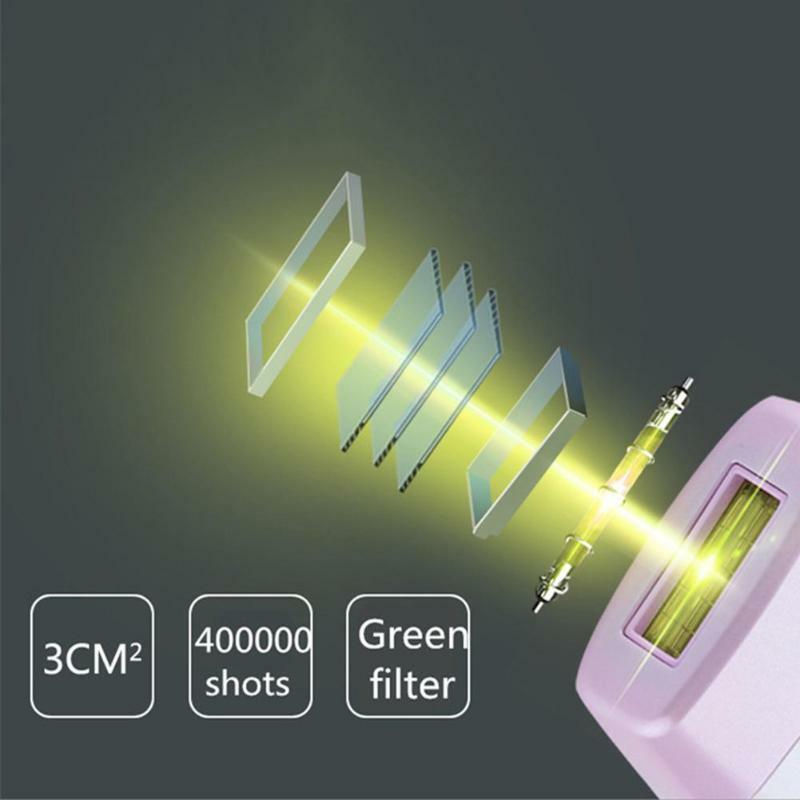 The Hair Remover uses laser technology that emits rapid light pulses. The pulse works under the skins surface to target hairs at the root to inhibit their growth. FINALLY! - Say Goodbye to Shaving, Waxing, and Expensive IPL Clinic Treatments FOREVER!!! 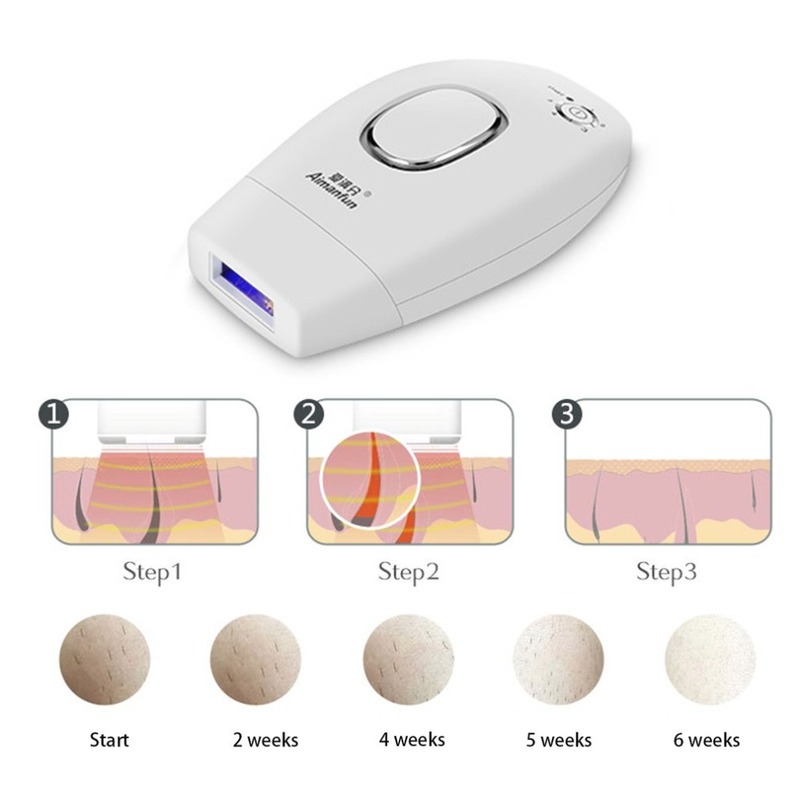 This Permanent IPL Laser Hair Remover will Save You Time, Money and a lot of headaches all within the comfort of your home! How it works: The Hair Remover uses laser technology that emits rapid light pulses. The pulse works under the skin's surface to target hairs at the root to inhibit their growth. ✓ Suitable for most areas of the body - Including underarms, legs, thighs, bikini line, face, neck, shoulders, and back. EASY TO USE: No batteries or charging required, simply plug in the device to begin treatments. Bring the machine close to the target area so it is perpendicular to the skin and apply the laser light treatment. With 5 levels of light pulse intensity, you can customize the treatment to suit your level of hair growth. We recommend using your handset once a week for the first 12 weeks. After this period use your handset once a month, for 3 months or until satisfied. To maintain hairless smooth skin, use your handset once every 2 to 3 months, or as needed. Which areas of my body can I use this on? You can use your handset on your entire body, including your face (just be sure to not get too close to your eyes). Ionic Hair Dryer - 65% OFF Today! !